Zapzapmath School brings kids in Kindergarten to Grade 6 on a maths adventure! 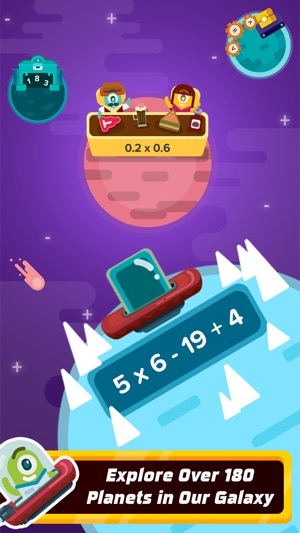 Enter a universe of over 180 games that cover over 180 maths subtopics. 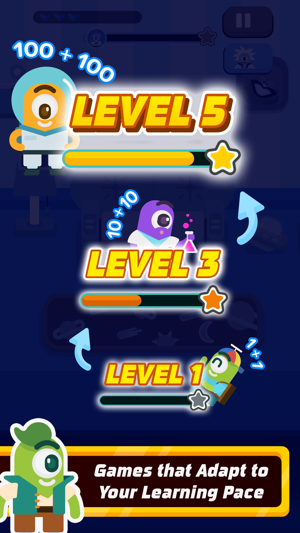 Players travel to different planets and complete a variety of challenges which lead them to master mathematical concepts, all while having fun on this standards-aligned, game-based learning platform! As a parent or teacher, you get access to the web dashboard, an analytical reporting system that keeps track of your kids’ learning progress as they play. Reports are generated on an individual basis for players who are under parent accounts and collectively for student players under teacher accounts. Zapzapmath School’s free download comes with a range of 20 maths games across Kindergarten to Grade 6. If you enjoyed our free trial, the full range of content by grade is available at $9.99 on a yearly subscription basis. 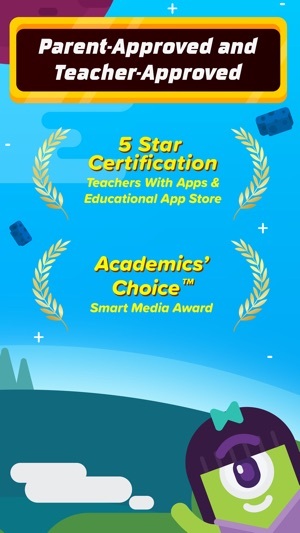 A Zapzapmath School subscription gives each kid access to all the games in their grade. Download and subscribe to Zapzapmath today! 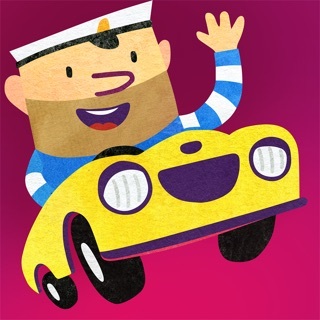 ► Fast-paced, fun and interactive math games with high replay value. ► Hundreds of games for your child to practice new maths topics. ► Each maths topic is divided into 4 Skill Areas: Training, Accuracy, Speed and Mission. ► Players progress through increasing levels of difficulty, training their critical thinking, logic and problem-solving skills. ► Screen time is well spent as kids can play as a supplement to maths lessons, homework, or tutoring sessions. ► Self-paced, adaptive learning helps to increase confidence and academic interest. ► Track your kids' individual performance online via the web dashboard, and see where extra guidance is required. Zapzapmath School’s games also encourage higher-order thinking skills based on Bloom’s Taxonomy. Keep in touch with us on social media and be the first to hear about our latest updates! Your subscription will be automatically renewed unless auto-renewal is disabled at least 24 hours before the subscription expires. Renewals cost the same as the original subscription, and payment will be charged to your iTunes account upon renewal confirmation. At Zapzapmath School, we are always improving our product with your feedback; this update includes some of those improvements as well as some minor bug fixes. Please leave us a rating or a review as this really helps us a lot! 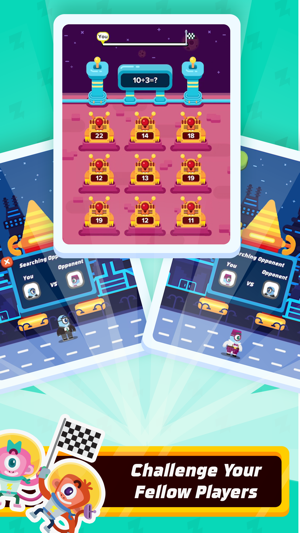 I have been looking for an app like this for some time for my five year old son. We are so pleased that we found this one - he loves it! It's great if you want something that is educational, fun and interactive. I really like it!!! Now I am using it to help prepare for the upcoming Math Olympiad. The speed n various patterns of the games trains me to solve with speed. 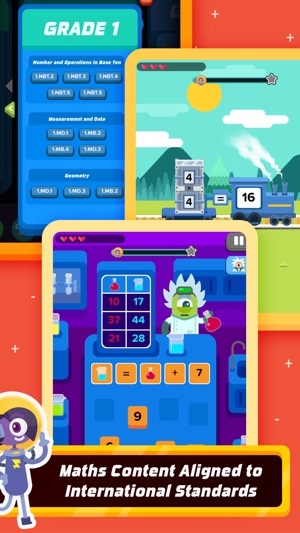 A great math app - the way it adjusts difficulty depending on the skill of the player is great! The presentation is also fantastic - colourful, clear, and full of character. Recommended!